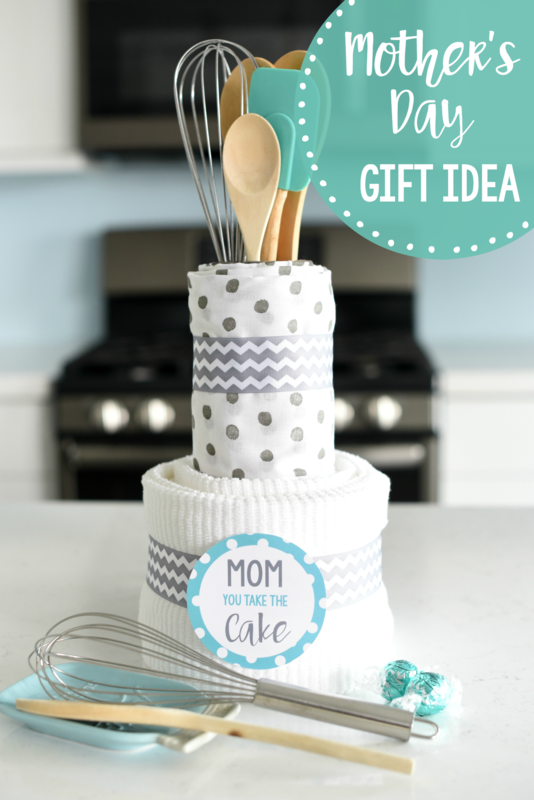 A Peek at the Fun: Think outside the box this year and go for a creative Mother’s Day gifts with one of these cute towel cakes for Mom. 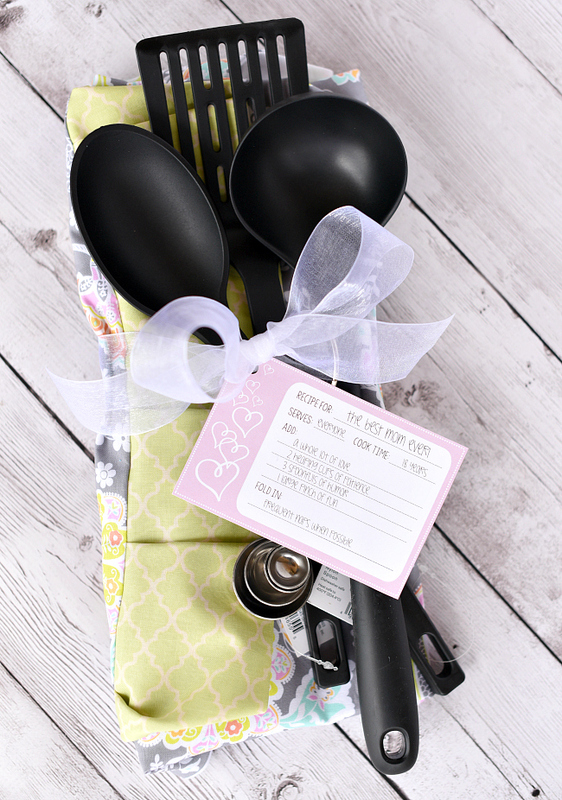 Perfect for a Mom who loves to cook and be in the kitchen and a gift that will be sure to make her smile! 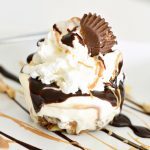 Coming up with a gift for Mom can be hard!! Right?! She’s got everything she needs or she buys herself the things she wants. You want to make her feel special but you can’t come up with what to do. 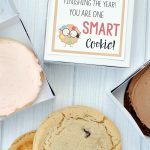 That’s why we love creative Mother’s Day gifts and this one is something she’s probably NEVER received! It’s a fun cake made from kitchen towel (so she can stock up on her supply in the kitchen) and fun utensils. It’s easy to put together and with this cute tag it’s a unique gift that’s fun and will make her smile! 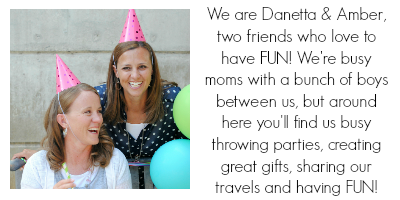 Let’s make this great gift for mom! 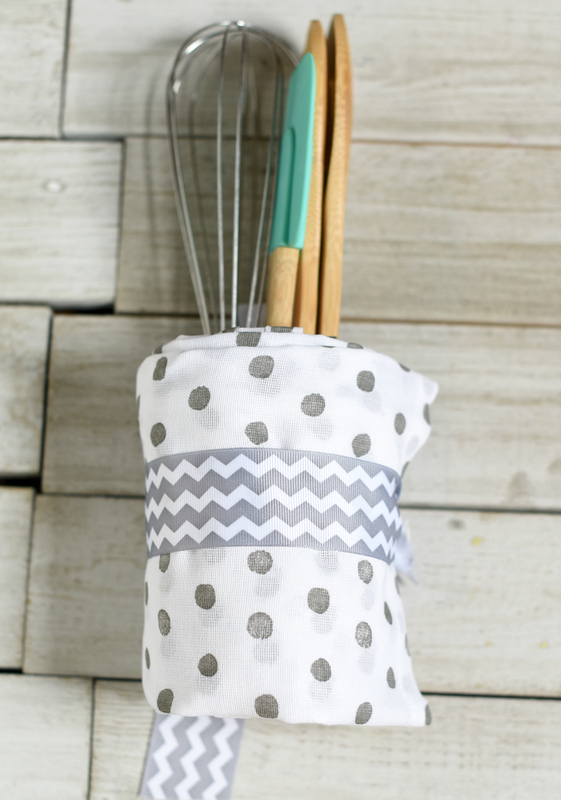 Start with your kitchen towels folded in thirds the long way. Start to roll one end of the towel as if you were rolling a sleeping bag. 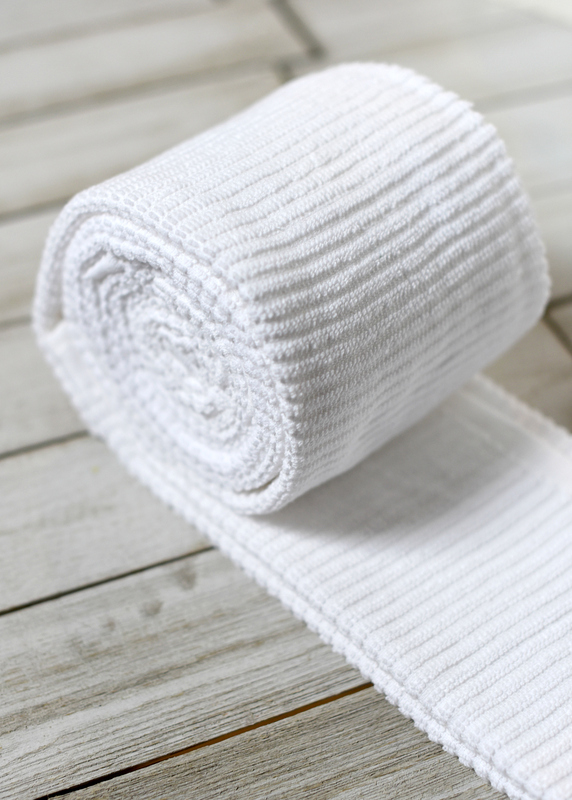 Once the towel is almost rolled, place another folded towel overlapping a couple of inches and continue to roll. This cake used 6 kitchen towels to achieve the size of the base of the cake. When the bottom layer is completed, wrap a ribbon around the middle and tie a knot at the back. This will secure the towels together. 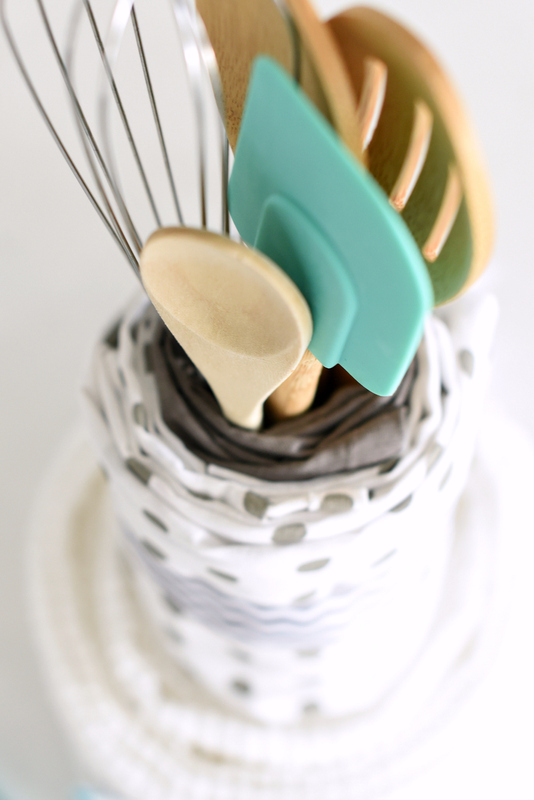 For the top layer, gather the utensils you are using and wrap the towels around the handles. Continue rolling the towels the same as you did on the base layer. Tie with a ribbon when the wrapping is complete. 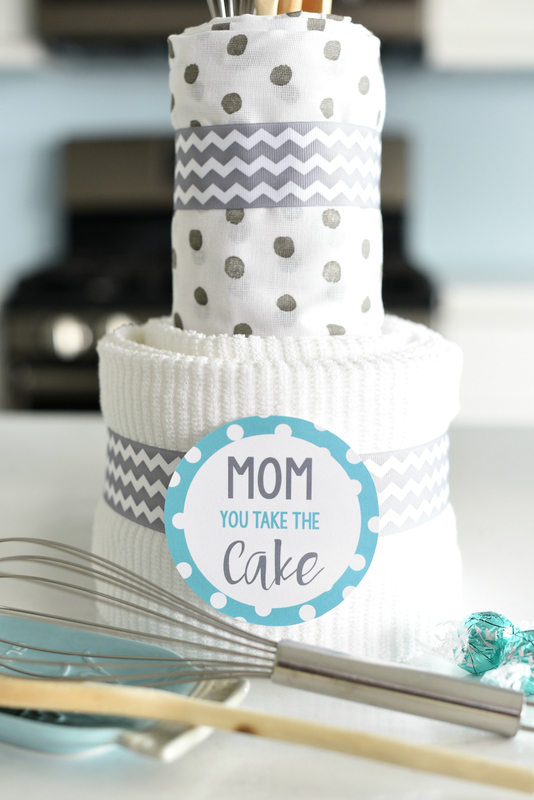 Here is the tag that you can print and add to this Mother’s Day cake. You can right click and save it and open in a program like Word or Pages on your computer, then size how you want and print. Or here’s a PDF with 2 on it all ready for you to print. 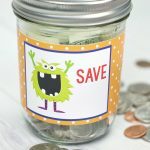 This is such a fun and simple Mother’s Day gift, and something she is sure to love! 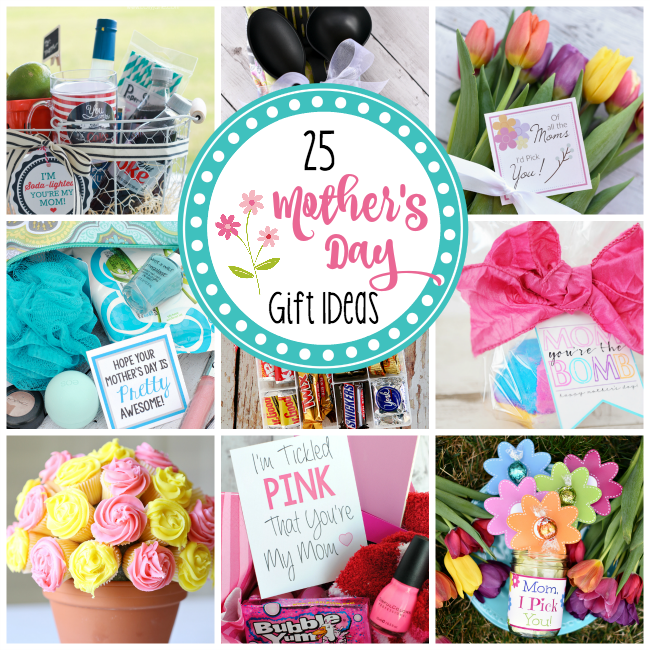 Have FUN giving these creative Mother’s Day gifts!